Deerhunter's Why Hasn't Everything Already Disappeared? comes out Jan. 18. Artists often seclude themselves from the world or change their scenery in order to create. 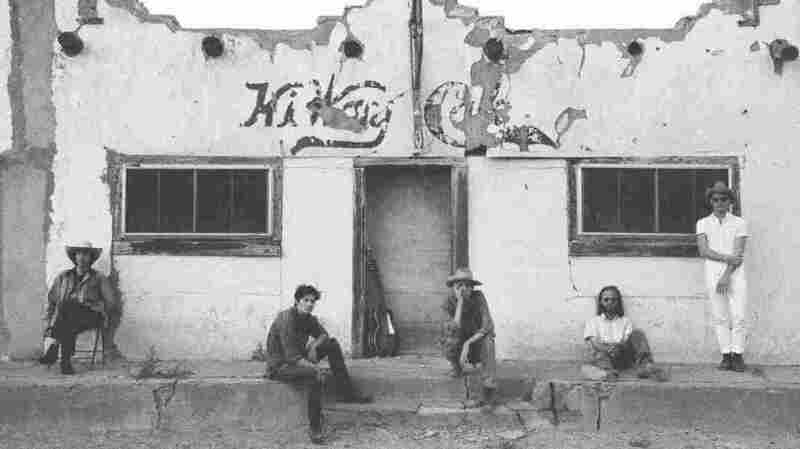 Georgia-based band Deerhunter went to the small, artsy town of Marfa, Tx. the band's latest album, Why Hasn't It Already Disappeared? As Cox explains, he was asked by singer-songwriter Cate Le Bon to participate in the Marfa Myths Music Festival and he decided to bring the band along for the ride. "It wasn't a location we chose in particular. It chose us." on Why Didn't Everything Already Get Disappeared? "Certainly, on this album, it comes from listening to the news and being surrounded by a sense of more common and universal unease. Like, it's not just in my head anymore," he says. Overall, Cox uses this music as a form of catharsis for trying times. He wants to use it that way too. "I think I'm just screaming out loud, you know," he says. Why Hasn't Everything Already Disappeared? comes out Jan. 18 via 4AD. Cox spoke with NPR's Sarah McCammon about making the album, learning from elsewhere, the message of the single "Death in Midsummer" in relation to the current government shutdown and more. Hear their conversation at the audio link.